Publishers and eBook stores have been facing something of a quandary recently; the subject in question has been the future of digital publishing. The bone of contention seems to be finding a method of delivery for eBooks that will appeal to all, this is a topic that has dominated conferences about digital publishing the length and breadth of the land. Books have enjoyed a transformation in line with the evolution of the internet itself, it is not uncommon for eBooks to have interactive features and appear in dedicated apps. 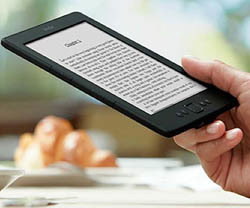 They can be read on the web with the new generation of Cloud Readers in the vein of offerings by Amazon, Kobo and Overdrive. You can also download enhanced eBooks in the form of apps from Apple, Google Play, Sony, Kobo, and Barnes and Noble. Ebooks enjoy the substantial advantages over traditional publications in the form of enhancements provided by interactive features. These features provide an altogether more engaging experience, video, audio, narration and gaming elements only available through the power of interactive features within eBooks; have made them an attractive proposition to many. EBook readers, whether they are reading the publications on the web or through enhanced versions through smartphone, tablets or PC are often doing so through HTML 5 or EPUB 3. EPUB 3, which is the latest version of the industry-standard XML eBook format encapsulates both HTML 5 and CSS3, a fact that was alluded to in a recent article by Michael Kozlowski of goodereader.com who, through a series of interviews with industry leaders delved deeper into the questions that have been arising with increasing regularity in recent years. Finally, Matt from Glossi summed it up by saying, “I don’t think there is anything driving the various members of the digital publishing ecosystem to proactively choose a unified platform. Not even consumers would benefit from that. Just as some people prefer hard cover books over ANY digital alternative, so too will segments of consumers continue to gravitate towards publications that offer unique value specifically because of the platform on which they are published. And as long as there is a market for more than one alternative, there will be suppliers for that market. Interested in publishing eBooks in HTML5 format complete with interactive qualities? Why not try out the free, fully functional trial of 3D Issue today as the first step towards creating your dream. If you have any questions or would like some more information simply email info@3dissue.com.